Echo In The Canyon celebrates the explosion of popular music that came out of LA’s Laurel Canyon in the mid-60s as folk went electric and The Byrds, The Beach Boys, Buffalo Springfield and The Mamas and the Papas gave birth to the California Sound. It was a moment (1965 to 1967) when bands came to LA to emulate The Beatles and Laurel Canyon emerged as a hotbed of creativity and collaboration for a new generation of musicians who would soon put an indelible stamp on the history of American popular music. Echo In the Canyon is directed by filmmaker Andrew Slater, making his feature directorial debut. This premiered at the LA Film Festival and DOC NYC last year. 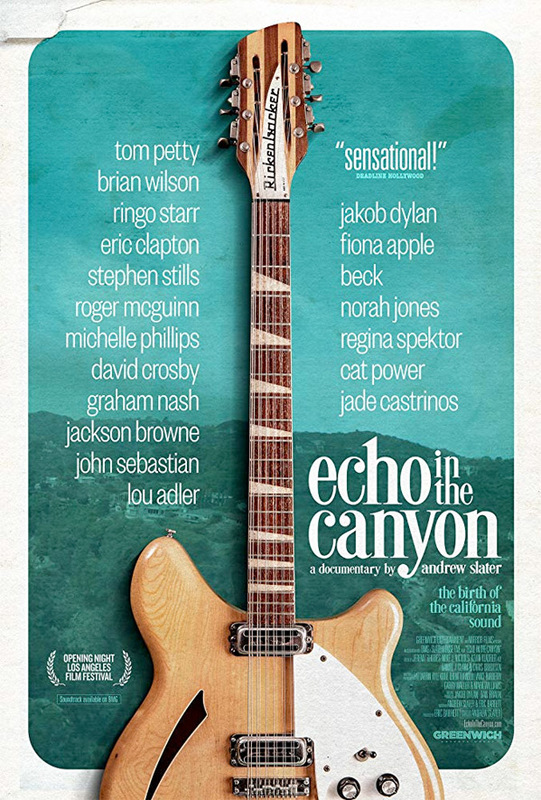 Greenwich Entertainment will release Slater's Echo In the Canyon in select theaters starting on May 24th coming up soon. Who wants to watch this doc?